The six most exciting aspects of this year's tournament going into the weekend. Oh, yeah. It’s time for Women’s Centex once again. It may not be the juggernaut that is Northwest Challenge, but the Texas tournament is no also-ran. It’s regularly one of the best, and arguably the most fun, tournaments of the season. For many of the teams in attendance, it’s also the last tournament of the regular season, which means there’s a ton on the line in the bid department. Here are the six things I’m the most excited for, not including all the food I’m gonna eat. Ultiworld will be filming select games that will be posted to our YouTube channel after the event. They will not be livestreamed. We haven’t seen #8 Wisconsin play since January! They’ve been sitting in the top 10 in our Power Rankings for months thanks to their strong performance at Santa Barbara Invite, but they haven’t played a tournament since. For comparison’s sake, the next three top seeds at the tournament have all played two tournaments in that time. To be fair to Bella Donna, their losses to UC San Diego and UC Santa Barbara both look very acceptable, and their wins over Cal and Cal Poly-SLO have only become more impressive as the season has progressed. But January was a long time ago. Will they show signs of rust this weekend? Will all of their experienced, high level club players help carry them to a Centex title? It’s difficult to say. On paper, Wisconsin are worthy tournament favorites. They have five players who all played for the Madison Heist team that was a point away from making quarterfinals at Club Nationals, as well other players with plenty of college experience, like Lilly Iverson. Based on the team’s talent and their SBI results, they could be a team with national quarterfinals potential. And because they have been idle for so long, I think they’ve been forgotten about a little bit. More so than any other team this weekend, Wisconsin will reveal a lot about themselves this weekend. What kind of team are they, really? It’s not often that you have a no. 1 seed at Centex with so many question marks. But it does provide plenty of intrigue right at the top of the tournament. I said there’s plenty on the line in the #BidWatch this weekend, and the New England region is easily the one with the most at stake. They currently have two bids through Dartmouth and Vermont, and those both seem pretty safe, although Vermont could conceivably fall out if things get really crazy. But Northeastern and Tufts currently sit at 18th and 19th, just barely on the wrong side of the cutoff. Big weekends from both could put the region at four bids. #24 Northeastern, like Wisconsin, is coming into just their second tournament of the season. They went 2-4 at Presidents’ Day, but they also had a pair of one point losses to Texas and Minnesota. They boast U24 Team USA member Ari Nelson and freshman sensation Clara Stewart, so they definitely have the top end talent capable of making a big splash this weekend. And pool opponents UCLA, whom they beat 8-5 at Prez Day, and Wisconsin both represent opportunities to gain a lot of rankings points. Fortunately for the two teams, #23 Tufts finds themselves in a different pool. That means they won’t be able to knock points off each other until the bracket, if they match up at all. For Tufts, this weekend will be about bouncing back from a tough Commonwealth Cup and grabbing some more wins against Nationals-quality opposition. Their 8-7 win over Ohio State is doing a lot of the heavy lifting for their ranking right now, but that result sticks out like a sore thumb compared to the caliber of teams the rest of their wins have come against. Minnesota is probably a must-win game for them, and knocking off Colorado or Texas before going to the bracket would go a long way. I’m always here for it, and everyone else should be too. I’ve said it several times already, but Texas Melee vs. Colorado Kali is the best rivalry in college ultimate right now. Both teams are safely in bid-earning territory, and there doesn’t seem to be another team in the South Central that will be a real threat to steal one of their bids (though a strong weekend from a team like Washington or UT-Dallas in Tier 2 could change that). But this matchup doesn’t need external stakes to be exciting. It’s just a good ol’ fashioned rivalry that both teams are really gonna want to win. The two have yet to face off this season, which is rare, especially considering they’ve both attended the same two tournaments. But that means they should be raring to face off, and if all goes to seed, the game will determine who wins Pool B, and thus who gets an easier road in the bracket. Players like #12 Texas‘ Domenica Sutherland and Ivy Harrison and #9 Colorado‘s Megan Henderson and Rachel Wilmoth will provide plenty of fireworks, and both teams always ramp it up a notch against each other. This game always has the feel of an old-timey college football rivalry, or a USA-Canada hockey game. There’s just a little extra juice and intensity, and I’m always gonna circle it on the calendar as a must watch. The Great Lakes doesn’t have a team anywhere near the bid picture at the moment. Chicago, the no. 8 seed this weekend, is the highest ranked team in the region at #34. Michigan and Northwestern, the two favorites to top the region in preseason conversations, are both in Tier 2 of the tournament and ranked #47 and #63, respectively. This weekend should determine which team goes into Regionals as the favorite. Chicago is another team that’s playing in their second tournament of the season, also not having played since Santa Barbara in January. Their 13-7 win over Cal Poly-SLO looks pretty impressive now, as does their respectable 13-10 loss to UCLA. They have a tough draw this weekend, though, and they’re a team that few would consider to be the favorite to take the Great Lakes’ Nationals bid. Still, with this weekend serving as just our second glimpse at them, perhaps they can prove that they are indeed the team to beat in the region. There’s no way around it: Michigan is in a rebuilding season. They lost a ton of players from last year’s pre-quarters team, and they had a rough go in their last two tournaments, Queen City Tune Up and Commonwealth Cup. Such have their struggles been that they are the bottom seed in their pool, behind Utah and UT-Dallas. But Michigan is well coached and they do have key carry overs from last year’s team in Phoebe Hopp and Tia Esposito, and a run to the bracket from Tier 2 wouldn’t be a massive surprise. A preseason knee injury to Sarah Gnolek derailed a season that may have had Northwestern as the favorite to win the region. They went 1-4 at Presidents’ Day Invite and also find themselves at the bottom of their pool, behind Wash U and Florida State, but with the state of the region such as it is, they’re still very much in contention to win it. They do still have two 2018 All-Region first teamers in Sarah Kim and Hindeke Tewdoros, the only two returning such players in the whole region. Like the rest of the region, Northwestern’s season hasn’t been filled with success, but they’re still a contender. This weekend should provide a much clearer picture of how they, and their regional rivals, stack up. #13 UCLA is coming off an improbable third place finish at Stanford Invite. They started the weekend 0-2 in Stevinson, but then rattled off three straight wins to make semifinals, and then pulled off a major upset of UCSB in the third place game. Can they turn that finish into some real momentum to close out the regular season, or were they the benefactors of a relatively friendly run to the semifinals? They’re also in an interesting place in their pool. They have that win over UCSB, one of the only two teams to have a win over their poolmate Wisconsin this season. But they also have that loss to Northeastern, the three seed in their pool. Realistically, UCLA could finish anywhere from #1 through #3 in their pool. Katherine Jordak and Malia Smith were both very impressive for UCLA at Stanford, and they’ve been a team that’s improved with each tournament. As a team that’s trying to get back to Nationals out of a region that will be tough to maneuver, even with four bids, this weekend will be very important. A run to semis could help build their confidence, which will be vital as they go against teams trying to steal their bid in April. They aren’t in a position to really worry about losing that regional bid. But if they do return to the form they showed earlier in the season, when they went 1-6 against the current top 25 at Santa Barbara and Presidents’ Day, it could have teams like Cal and Cal Poly-SLO licking their chops. UCLA should want to leave no doubt that they’re one of the top teams in the Southwest, and they have the opportunity to do that this weekend. 6. The return of Power Pools! This is the best format. I lamented last year that Centex went away from the power pool format, but this year it’s been brought back. Centex isn’t as deep as Northwest Challenge, but this format does a great job of combating that. All of the top eight teams will be in the top two pools, which will give plenty of exciting, meaningful games through the first three rounds of the tournament. Every game in the top two pools has the potential to be a quarters, semis, or even final preview. And with the bid picture such an important facet of the weekend, it gives teams trying to make a move more opportunities to do so than they would otherwise get. There’s also still an opportunity for teams to go on a bracket run out of Tier 2, so it provides the best of both worlds. 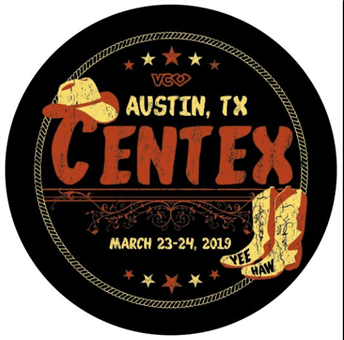 The power pools at Centex are a big part of why the tournament has been one of my favorites in the past, and that they are returning this year makes for what should be a fun tournament from the very first round. Comments on "Women’s Centex 2019: Tournament Preview"